CMP Technology announces the VoiceCon Spring 2007 keynotes. The lineup includes top executives from leading suppliers -- Louis D'Ambrosio, President and CEO, Avaya; Charles H. Giancarlo, Senior Vice President and Chief Development Officer, Cisco Systems, and President, Cisco-Linksys, LLC; Mike S. Zafirovski, President and CEO, Nortel; and Jeff Raikes, President, Microsoft Business Division -- along with senior IT executives who are leading their companies' initiatives in IP Telephony and converged networks -- Alok Kapoor, Managing Director, Merrill Lynch Global Private Client Technology; and Johan Krebbers, Group IT Architect, Royal Dutch Shell. VoiceCon Spring 2007 (www.voiceconspring.com) will be held March 5-8 at the Gaylord Palms Hotel in Orlando. "The enterprise IP Telephony market has tremendous momentum and is evolving toward Convergence and Unified Communications," said Fred Knight, VoiceCon General Manager. "The keynote speakers at VoiceCon Spring 2007 are leading their companies and the industry toward a new framework for enterprise communications, so VoiceCon attendees will receive a first-hand look at where the market is headed next." Users of Truphone's low-cost mobile VoIP service can now make and receive internet phone calls on their mobiles from more than 700 additional Wi-Fi hotspots in popular locations across 14 countries in Europe, following an agreement between Truphone and free-hotspot.com. This latest roaming agreement extends Truphone users' access to public Wi-Fi. The company expects to conclude further roaming agreements throughout 2007, creating an ever-bigger network of hotspots where log-on is automatic for Truphone users. As a special launch offer, access to free-hotspot.com's Wi-Fi network will be 100% free to Truphone users, with calls charged at Truphone's characteristically low VoIP call rates. From May 15th, calls will be billed at just 3p/minute above these rates. Cedar Point and MetroCast Cablevision announced the selection of Cedar Point as the exclusive switching vendor for the delivery of voice-over-IP cable telephony services throughout the MetroCast service footprint. MetroCast, which earlier this fall began providing cable television in southeastern Connecticut, will deploy Cedar Point's integrated, packet-based SAFARI C(Cubed) Multimedia Switching System for residential and commercial telephony rollouts to approximately 145,000 total subscribers in systems in Connecticut, Maine, New Hampshire, Maryland, Pennsylvania and Virginia. In addition, MetroCast and Cedar Point are continuing a five-year history of collaboration through the creation of a field environment for the testing, trial and technology validation of advanced voice and multimedia capabilities. NewStep Networks, was named by NetworkWorld as one of 10 companies to watch as VoIP (Voice over Internet Protocol) overtakes traditional telephony. NewStep is worth watching because its technology allows enterprises and carriers to expand their VoIP services to new devices without an expensive and complex overhaul of systems now in place, according to the article by NetworkWorld senior editors Phil Hochmuth and Tim Greene. AT&T and Microsoft announced the availability of AT&T Live Meeting, a hosted Webconferencing service that enables users to communicate and collaborate in real time with a personal computer, an Internet connection and a telephone. This newest offering in the AT&T Collaboration portfolio builds upon the company's previously announced global strategic alliance with Microsoft, which is focused on the development, deployment and delivery of next-generation, Internet Protocol (IP)-based communications services. AT&T Live Meeting uses Microsoft Connected Services Framework, a server-based product for building and managing complex services using a service-oriented architecture and Web-services interfaces. "The introduction of AT&T Live Meeting is a milestone in our global alliance with Microsoft," said Shawn Conroy, vice president-Product Management, AT&T. "It provides an additional choice for our customers in Web- conferencing options and allows users to communicate in a media-rich, real- time manner while strengthening their collaboration and productivity." barablu's easy to use service expands VoIP beyond the PC and promises to benefit millions who use the mobile as their preferred choice of communication. Free phone calls using the Internet is attracting a growing number of converts daily and this demand has up to now been driven by the likes of Skype but barablu takes the development into next generation. Details of the company's global expansion have been revealed at the 3GSM World Congress in Barcelona (February 12-15). With Valentines Day just around the corner Tom Keating gives us a heads up on a Vonage-gram for Valentine's Day. I'd also like to point out a few more sweet innovative Valentine gifts for your loved one. Thanks to Fortune Small Business February 2007 for spotlighting these products made by small companies, incase you feel like helping out the little guy. Plush Puffs Marshmallows: $8 for six as pictured in this post thanks for the image. Little Flower's Candy's Sea Salt Caramels: $26 a pound. Hammond's Candies' Lollipops: $15 for four. The Popcorn Suite's Strawberry Shortcake: $24 for four boxes. Alec Saunders writes that Pat Phelan’s AllFreeCalls, now in Ireland. AllFreeCalls.ie lets Irish residents make a local call, and then enter the number of the place they wish to call. It’s a two stage calling system, financed by termination revenues from the local telco. VoIP news earlier this week featured 25 Skype hacks some you might not have known about. I've been meaning to highlight Leanne Tremblay aka VOIPGirl's blog for awhile now. Leanne reports PhoneGnome Feature: Reach Beyond. A feature that helps you stay connected to 10 frequently called non-PhoneGnome numbers. Andy Abramson chimes in on Truphone Gets Google Eyed and Is GTalking and so does Gautam in The engagement of Truphone and Google Talk which comes with a nice Truphone video demo giving you an idea on the look and feel of how it all works. Fellow blogger Jan Geirnaert over at www.Skype-Gadgets.com is attending 3GSM World Congress in Barcelona, Spain this Feb. 12th-15th. We wish him a safe flight from his "fortress" in Malaysia and look forward to an insiders view of the event. Keep up the great work Jan.
Buzz Technologies announces that its search engine at www.12buzz.com will now be operated by Google. Google will supply search engine advertising sales electronic management of revenues and some hosting services. Buzz Technologies Inc. will be promoting Google Advertising products and promoting AdWords and AdSense to Buzz Customers. DigiLinea announces the further expansion of DID coverage on the DigiLinea Latin American VoIP network in Brazil. DigiLinea has added the cities of Brasilia and Vitoria to its current Brazilian coverage area of Belo Horizonte, Curitiba, Rio de Janeiro, Florianopolis, Porto Alegre, Fortaleza, and Sao Paulo. This Latin American DID expansion helps DigiLinea further address the needs of the millions of Brazilians who live in the US. Today the commercial availability of the MobileSTICK solution has been made, first previewed at 3GSM World Congress in February 2006 (then referred to as SoftMOBILE with USB SIM authentication). The MobileSTICK solution transforms personal computers into voice, SMS and multimedia messaging terminals for mobile operator services, leveraging standards-based Voice over Internet Protocol technology. Bringing together the mobile number identity with the benefits of Internet VoIP and messaging services, MobileSTICK can use virtually any broadband-connected PC, while maintaining security and mobile operator control via the same SIM card-based authentication already trusted by GSM and UMTS operators. Here is a press release pertaining to the previous subject on the Federal Telephone Excise Tax Credit. I first talked about it in my "VoIPMonitor's VoIP News Roundup Yehaw" so here's some additional information provided by Jackson Hewitt Tax Service to assist you in getting your refund. Jackson Hewitt Tax Service alerts taxpayers to a new credit available for the 2006 tax year - the Federal Telephone Excise Tax Credit. Through this credit, taxpayers who have paid federal excise taxes on long-distance or bundled services through a landline, cell phone, fax and Voice over Internet Protocol (VoIP) over the past three years will be able to claim a refund of those taxes paid. This credit is only available for the 2006 tax year. The Forrester Research Group predicts that nearly 5 million U.S. households will have VoIP phone service by the end of 2006. With this technology evolution, it has become apparent that the African continent needs to make a change and keep abreast of these technologies for the betterment of African businesses. There is no better place to execute this than at VoIP World Africa 2007 which will take place from 2- 4 May 2007 at The Michelangelo Hotel, Johannesburg, South Africa. It is the common industry meeting place where new technologies can be discussed, contacts can be made, experiences shared and alliances forged. 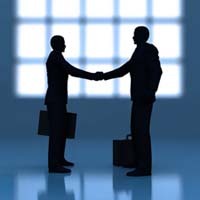 D-Link has entered into an agreement with Brightpoint. Under terms of the agreement, Brightpoint will distribute D-Link cost-effective Internet Protocol communications and networking solutions in scalable bundles tailored specifically for small-to-medium businesses to drive mobility, streamline workflow, and reduce operational costs. Brightpoint, a global leader in the distribution of wireless devices and provider of customized logistic services, will immediately offer through its distribution channel seven bundled D-Link office solution packages that provide complete integration of networking infrastructure and digital telephony with a range of Voice-Over-Internet Protocol (VoIP), wired and wireless connectivity products. These D-Link solution packages offered by Brightpoint are geared towards solving fundamental small to medium business needs, including basic office setup, mobile sales team deployment and remote office interconnectivity. AltiGen Communications announced that Technology Marketing Corporation INTERNET TELEPHONY magazine has named the IP 705 VoIP Phone as a recipient of a 2006 Product of the Year Award. INTERNET TELEPHONY has been the VoIP Authority Since 1998. 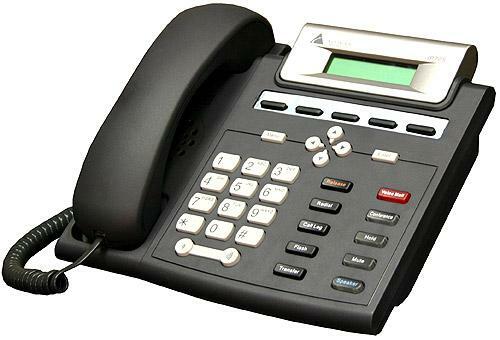 Designed exclusively for AltiGen IP Phone Systems, the IP 705 is AltiGen's second telephone to offer advanced VoIP technology while still providing standard business features such as paging, multiple line appearances, and busy lamp fields. The IP 705 provides a subset of the flagship IP 710 VoIP telephone's features while offering the same level of voice quality at a reduced price.